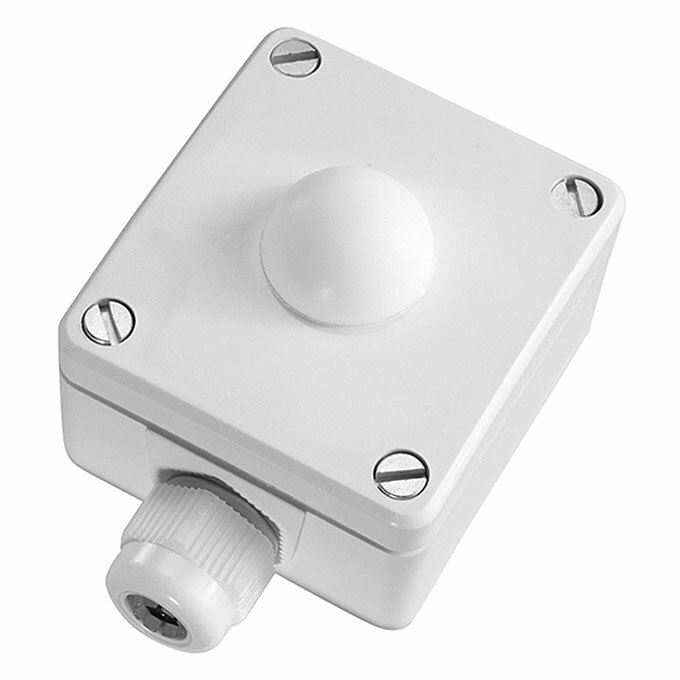 B+B offers a wide range of products for precise measurement of brightness in outdoors and indoors and for detection of motion, like our PIR sensors (passive infrared), which is the most common motion detector type. Furthermore our product range is completed by our B+B radar motion detectors which react to all movements towards the sensor in contrast to the PIR sensors which registers only objects with a temperature difference to the background. Our brightness sensors are protected against overvoltage and transients and therefore suitable for permanent use. In our online shop you will find numerous products fo the brightness- and motion technique, deliverable on stock, as well as a wide range of accessories and measurement instruments! Radar motion detector modules can capture – in contrary to infrared motion detectors- „cold“ moving objects as well as objects with a temperature difference to the ambient temperature. Even under most difficult conditions smallest movements are detected precise. 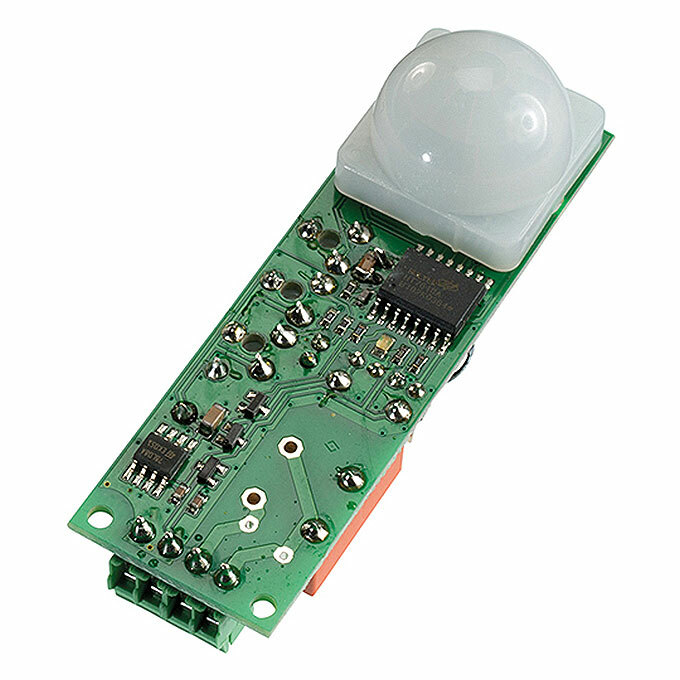 The motion detector module is suitable for numerous applications in which motion or attendance is registrated and thus switch operations have to be triggered. The sensor reacts to the heat radiation of moving objects. The module has a timer as well as a high-performance relay output and hence is ideally suited for e.g. automatically controling lights. Due to the digital evaluation filter which is integrated in the ASIC the module is also ideally suited for alarm applications, where a high triggering safety has to be achieved. 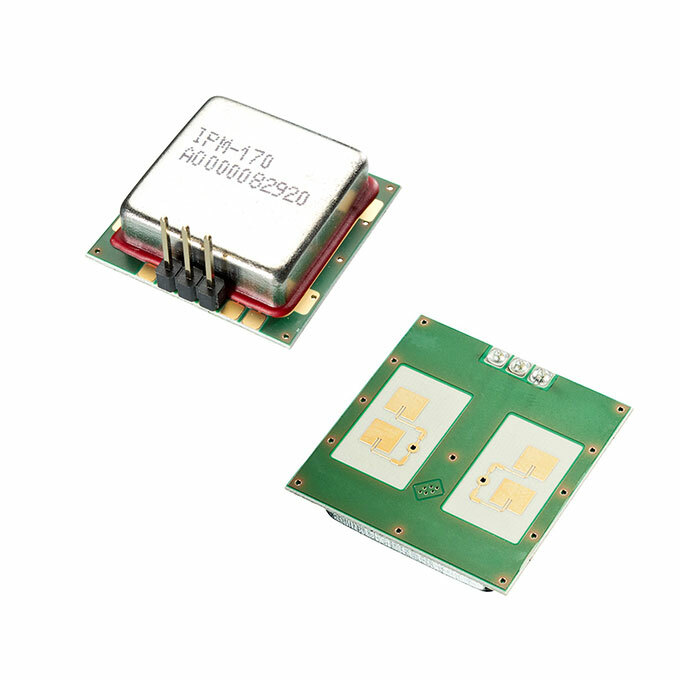 The compact SMD module has some characteristic features which guarantee universal applicability despite its small size.Very high sensitivity, adjustable in 4 steps. Integrated window comparator, TTL- and CMOS-compatible open collector output with pullup, which can also control LEDs and relays directly. Additional analogue output for your own evaluation circuit. Radar motion detector modules can capture – in contrary to infrared motion detectors- „cold“ moving objects as well as objects with a temperature difference to the ambient temperature. 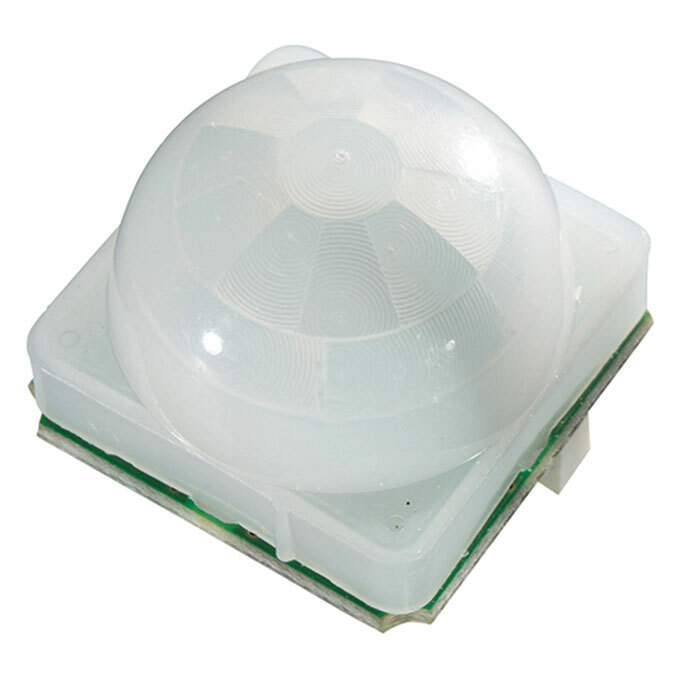 In contrary to passive infrared motion detectors, which only register objects with a temperature difference to the background, radar motion detector modules react to all kinds of movements towards the sensor. The motion sensitivity is very high, even the smallest movements are detected. The measurement of the illumination happens with a precise and long-term stable photodiode with industrial performance characteristics. The processing of the measuring signal takes place with the most modern sensor technology with an ASIC. The high sensitivity over a large area of illumination values and its wiring makes the brightness sensor applicable even under very bright lighting conditions. A high accuracy for typical control tasks over a large brightness area is the result of the 3-point calibration. Further advantages of the brightness sensor are the adjustment options between AC and DC supply voltage as well as the output of the measuring value as a 0-10 V standard signal. 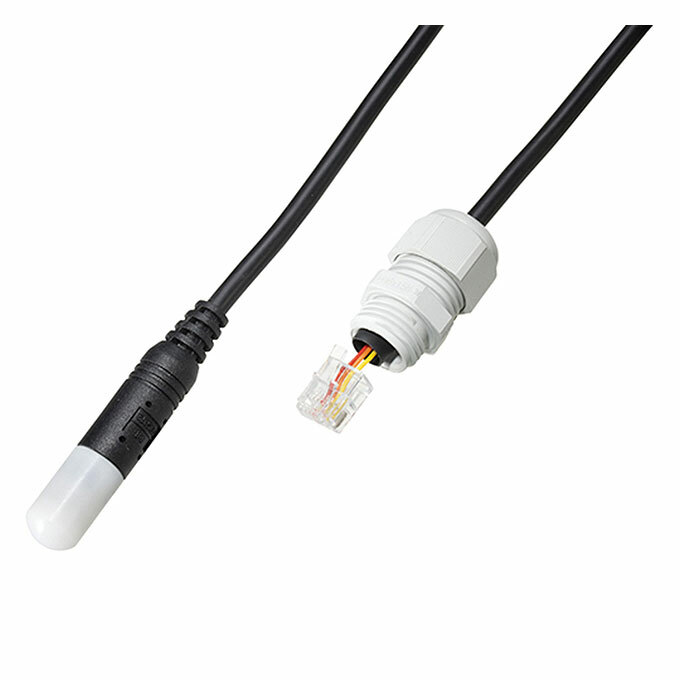 Universal light probe for general applications. The moulded probe is robust and resistant against environmental influences. 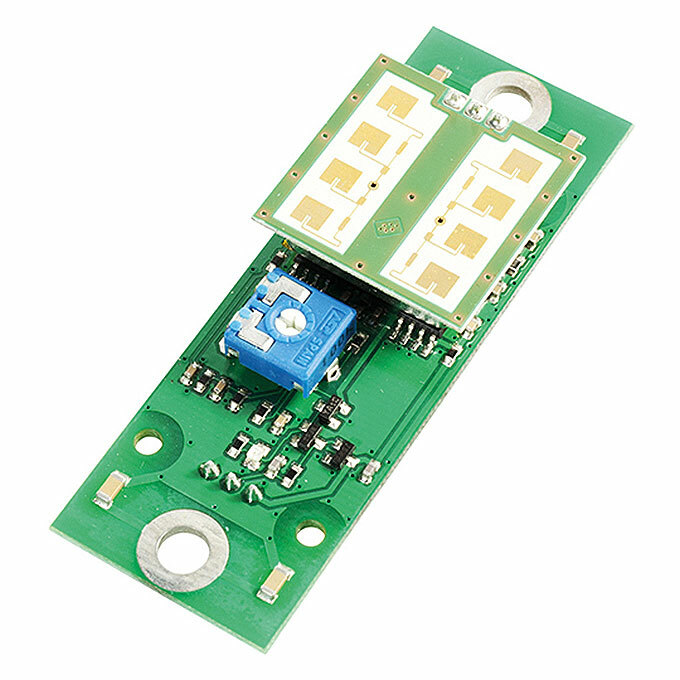 With the universal sensor switching module SENSW-MOD12V, SENSW-MOD24V, SENSW-GEH230V the light probe becomes a twilight switch for universal application areas.